Thank you so much to all my readers who left me a comment about what color palettes you would like to see! Very helpful. =) So jumping right into our first comment from Michelle. 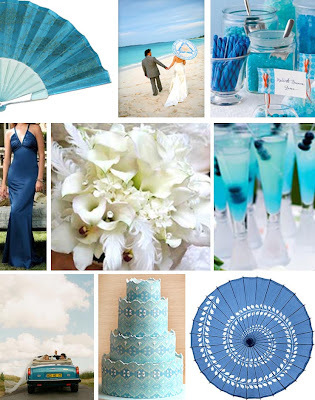 She is having a wedding with aqua and ocean blue colors. Here is a color palette I designed with those colors in mind, using one of Michelle's chosen bridesmaid dresses.